The Wenchuan Earthquake that occurred in May of 2008 caused damages to large areas of Sichuan, Gansu, and Shaanxi provinces in China. Reports from local governments and related management agencies show that the giant panda nature reserves in the earthquake-hit areas were heavily damaged. Our estimates in this paper of the impacts of the earthquake on the giant panda in the earthquake-hit areas were made based on the interpretation of remote sensing images and information collected by field survey. A rapid assessment method was designed to estimate the damages of the earthquake on giant panda habitats. By using visual interpretation methods, we decoded the remote sensing images of the disaster area in the 49 giant panda nature reserves. 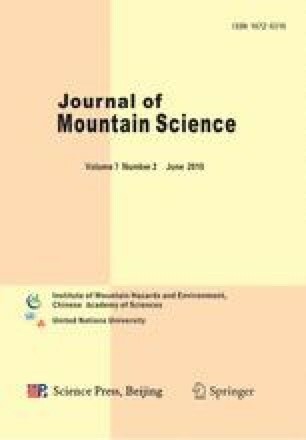 Research results showed that the Wenchuan Earthquake and the succeeding secondary geological disasters caused great damages to the giant panda nature reserves and disturbed the normal life of the giant pandas there (e.g., landscape fragmentation increased significantly). Undoubtedly, the life of the giant pandas there was affected. However, although the earthquake caused certain impacts on the giant pandas, it did not really threat their survival. Even so, we still strongly advocate for protection of the giant pandas, and have prioritized a couple of measures to be taken to restore the giant panda nature reserves in the earthquake-hit areas. State Forestry Administration. 2008. Giant Panda Habitats Seriously Damaged, 49 Nature Reserves Were Damaged. Keeping Close Attention to the Condition of Bamboo in Giant Panda Habitats As Well As Other Work Should Be Done. http://www.forestry.gov.cn.